St. Thomas Ontario is located just to the south of London. The City sits in Elgin County, and has a population of around 38,000 residents within its city limits. St. Thomas was built along the railway industry, which has roots going back to the 1800’s. Interesting fact about St. Thomas, is that “Jumbo”, the famous travelling circus elephant was killed in September of 1885 when a train ran into him. How on earth does that happen? Was the elephant just walking around St. Thomas? 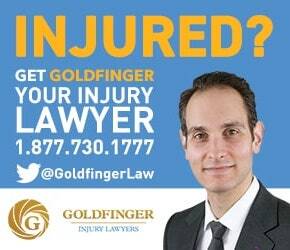 In any event, after the crash, Jumbo the elephant and his owners could have used the services of Goldfinger Law. Our lawyers represent accident victims involved in train derailments and locomotive crashes. Our law firm would have been able to compensate Jumbo, his family, and his owners with damages for their pain and suffering, loss of guidance, care and companionship, along with the loss of income which I’m certain that Jumbo brought in for his family. If you’re even in St. Thomas, you will be able to see the giant statue of Jumbo the Elephant which memorializes his death. It’s always nice to see a city with a sense of humour, character, and charm; and St. Thomas certainly has that. St. Thomas was named after Thomas Talbot. He was responsible for promoting development in Southwestern Ontario. The jury is still out on whether or not Thomas Talbot was a Saint. The first medical school in Ontario, (the Upper Canada), was established in St. Thomas in 1824, with the assistance of Thomas Talbot. The City of St. Thomas has many federally recognized heritage buildings, including the armoury, two catholic schools, and City Hall. And if you look closely enough while walking around St. Thomas, you will find their own local craft brewery (Iron Spike). Named after the railway, Iron Spike Brewery is located in the heart of old downtown St. Thomas, just steps away from the Provincial Court house and Superior Court. Both of these Courthouses are where personal injury cases are held. Whether it’s a trial, motion, or pre-trial in an accident case, our lawyers have attended at both of these courts. We can tell you from personal experience that the courts are amazing in St. Thomas. If you have a rough day sitting through jury duty on a car accident case, you can just walk across the street and grab a cold one at the Iron Spike brewery. Again, St. Thomas has a lot of character and charm which our personal injury lawyers just rave about. Our law firm has represented many clients from in and around the St. Thomas area. Many of our former clients used to work at the Ford St. Thomas Assembly Plant. Sadly, that Ford plant has now shut down, and has resulted in thousands of unionized and non-unionized workers losing their jobs. This hasn’t been good for St. Thomas’s local economy. But, Sterling Truck and Takumi Stamping have invested a lot of money into St. Thomas, and have added around 550 new jobs to the area. This is significant towards keeping St. Thomas a vibrant and thriving city. It’s also significant for the people from St. Thomas to return to gainful employment, with access to accident, disability, and illness insurance. Our lawyers can speak from personal experience, when we say that the courthouse for personal injury cases in St. Thomas is absolutely delightful. The Court staff are courteous, kind and very knowledgeable. The line ups to file Court materials are not over bearing, and parking is abundant. Want to file your Statement of Claim for your slip and fall case in St. Thomas? No problem. We have it covered.